worldlingo.com/enwiki/Haplogroup_I2 Until 2008, Haplogroup I2 was formerly known as Haplogroup I1b. I2b*Haplogroup I2b* was found in the skeletal remains of Lichtenstein Cave, a Bronze Age archeological site in central Germany associated with artifacts of the Urnfield culture . Of the 19 males represented in the cave, 15 yielded the full 12 tested STR values, with twelve showing I2b*, one R1b, and two R1a. The Urnfield culture (c. 1300 BC – 750 BC) was a late Bronze Age culture of central Europe. The name comes from the custom of cremating the dead and placing their ashes in urns which were then buried in fields. The Urnfield culture followed the Tumulus culture and was succeeded by the Hallstatt culture. The numerous hoards of the Urnfield culture and the existence of fortified settlements (hill forts) were taken as evidence for widespread warfare and upheaval by some scholars. Written sources describe several collapses and upheavals in the Eastern Mediterranean, Anatolia and the Levant around the time of the Urnfield origins: end of the Mycenean culture with a conventional date of ca. 1200 BC ; destruction of Troy VI ca. 1200 BC ; Battles of Ramses III against the Sea Peoples, 1195-1190 BC ; end of the Hittite empire 1180 BC ; settlement of the Philistines in Palestine ca. 1170 BC. Some scholars, among them Wolfgang Kimmig and P. Bosch-Gimpera have postulated a Europe-wide wave of migrations. The so-called Dorian invasion of Greece was placed in this context as well (although more recent evidence suggests that the Dorians moved in 1100 BCE into a post Mycenaean vacuum, rather than precipitating the collapse). Better methods of dating have shown that these events are not as closely connected as once thought. More recently Robert Drews, after having reviewed and dismissed the migration hypothesis, has suggested that the observed cultural associations may be in fact partly explained as the result of a new kind of warfare based upon the slashing Niue sword,and with bands of infantry replacing chariots in warfare. Drews suggests that the political instability that this brought to centralised states based upon maryannu chariotry caused the breakdown of these polities. Actually Goths were already for a long period in Dalmatia when the dramatic climate change in 536 occur, but what is interesting is fact that this year coincide with unsuccessfull Byzantine effort to return Dalmatia inland into its own domininon. The campaign was raid under the comand of Mundus, Byzantine military chief, Gepid by origin who were killed in that war. It could be a case that most of Greeks(Romans) left Dalmatia in that year not because snow in July but because of bloody Gothic wars in that region. We have to mention the great plague from 542, and begining of Byzantine-Persian wars. 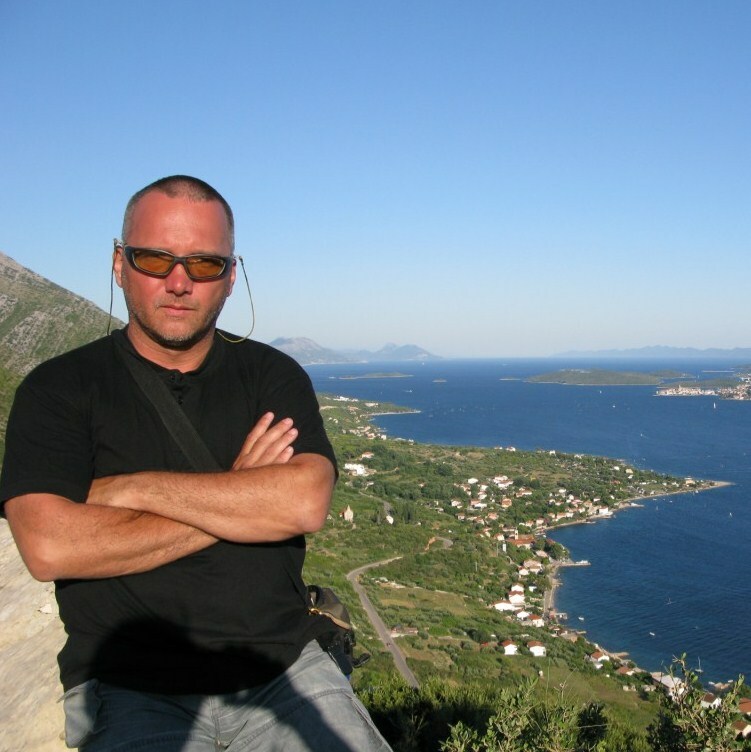 It all dramaticaly depopulated not only Dalmatia, but also Italy. In Italy for example populatian dropped from 7 million to 2.5 milion. Is there a scientific paper about the depopulation of central Europe around 500s? I was always wandering what the heck happened? First I was blaming Attila the Hun, but I guess he was a bit sooner around. He could have started it but wasn’t a main cause. Was it the constant movement of nations from east, every generation killing more than was being born? Was this the cooling period in Northern Hemisphere, intensified by volcanic activity? Super winters, cold summers? Was this a big plague? Or all of it together finished 90% of inhabitants? Till 533. it was quite stabile situation. Western part of Balkan (Dalmatia) was under Goths in Ostrogothic kingdom. Actually Ostrogothic kingdom under Theodoric was western part of Roman Empire with Gothic elite as ruling caste. 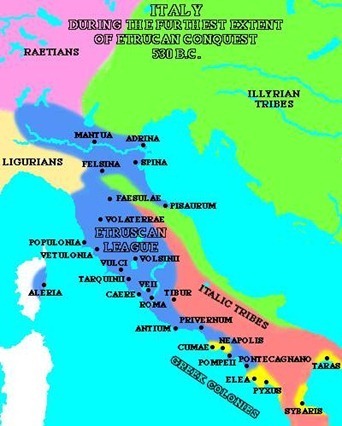 The population in Dalmatia and Italy was still Roman with of course some Germanic minorities. Central part of Balkan was under direct Roman rule, as the eastern one. So this is a short history of Balkan in the second half of 6th century. It is obvious that previous Roman (Greek) population was already devastated with famine, plague, wars especially in Dalmatia which was always less protected part of Empire and more exposed to the intervention from northern barbarians. Climatic change in 536 was recorded throughout Europe, and as we see real decline of Roman (Greek) power began with that year. Is it possible that Serbian legend about Greeks who leave the country because snow fall in July was an echo of some true story, story about crash of Roman Empire in Balkan and almost total change of its population. In 577 some 100,000 Slavs poured into Thrace and Illyricum, pillaging cities and settling down. By the 580s, as the Slav communities on the Danube became larger and more organised, and as the Avars exerted their influence, raids became larger and resulted in permanent settlement. In 586 AD, as many as 100,000 Slav warriors raided Thessaloniki. By 581, many Slavic tribes had settled the land around Thessaloniki, though never taking the city itself, creating a Macedonian Sclavinia. As John of Ephesus tells us in 581: “the accursed people of the Slavs set out and plundered all of Greece, the regions surrounding Thessalonica, and Thrace, taking many towns and castles, laying waste, burning, pillaging, and seizing the whole country.” However, John exaggerated the intensity of the Slavic incursions since he was influenced by his confinement in Constantinople from 571 up until 579. Moreover, he perceived the Slavs as God’s instrument for punishing the persecutors of the Monophysites. By 586, they managed to raid the western Peloponnese, Attica, Epirus, leaving only the east part of Peloponnese, which was mountainous and inaccessible. The final attempt to restore the northern border was from 591-605, when the end of conflicts with Persia allowed Emperor Maurice to transfer units to the north. However he was deposed after a military revolt in 602, and the Danubian frontier collapsed one and a half decades later (Main article: Maurice’s Balkan campaigns). This entry was posted in Aryans, Dacia, ethnogenesis, Genetic Anthropology, Linguistics, Old Europe and tagged 536 climate change, depopulation, Illyrians, Italic tribes, slav invasions, Urnfield. Bookmark the permalink. 3 Responses to Ethnogenesis *3. I2-Urnfield. I-Italic tribes. 536 depopulation.